How to use stale bread + 24 stale bread recipes! Like most people, I’m a sucker for a freshly-baked loaf of bread. I’m talking about good, handmade, crusty bread. Unfortunately, that freshly-baked loaf of bread will stay fresh for a day, maybe two. Unless I have a houseful of guests, my family of three doesn’t get through a loaf and I’m left with a hard brick of stale bread–really good stale bread. It’s a shame to waste it. It’s a shame to waste any kind of bread–even the sliced bread that stays “fresh” for an disturbingly long period of time on the pantry shelf. Lucky for me (and you), there are LOTS of ways to use stale bread. I’ve gathered together some of the best ways to use your stale bread with delicious and creative recipes from some great blogs. Enjoy! Pop chunks of bread into the food processor for homemade bread crumbs without the preservatives of store-bought. For delicious Italian-style breadcrumbs, mix in some garlic powder, salt and Italian seasoning. Use your breadcrumbs to bread chicken, meat loaf or crab cakes. Do like the Italians do and use your stale bread in soups. 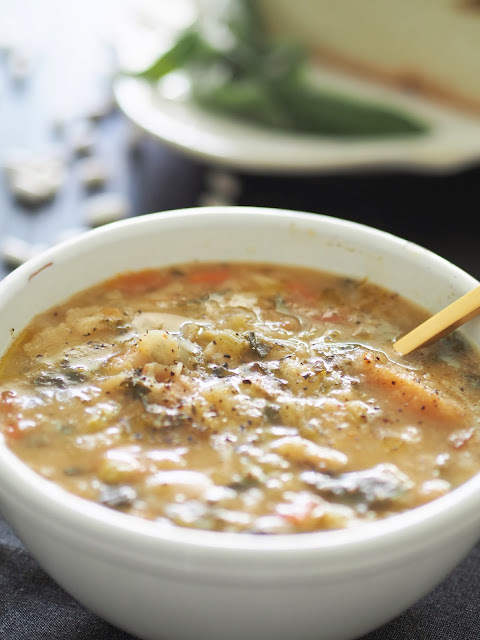 It breaks down quickly and works as a substitute to flour, thickening soups like bisque and creamy vegetable soup, while adding tons of flavor. You can also make the French classic, onion soup. Place a slice of stale French bread on the top of a hearty onion broth to hold up a crusty topping of Gruyere cheese. Bread budding is a good enough reason to let a loaf of bread go stale! Bread pudding can be made with croissants, rolls, and even cornbread. Made sweet or savory, it’s a comforting dish that is easy to make and delicious. 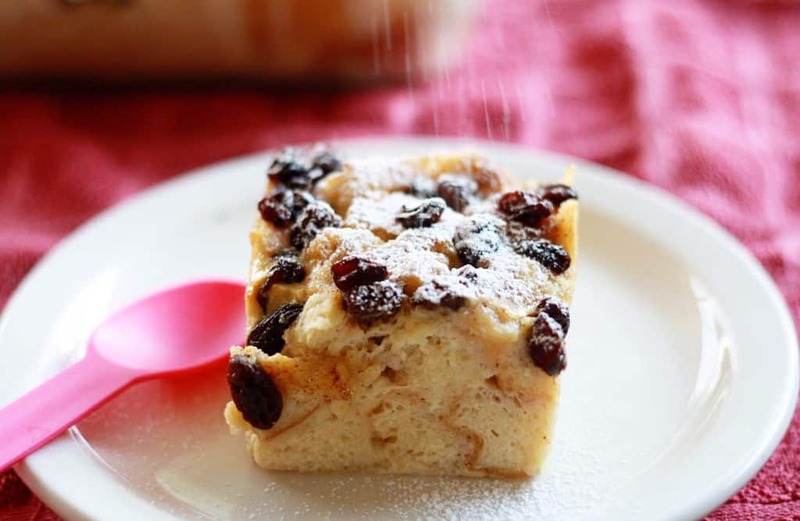 Tip: some bread pudding recipes have a step where you “toast” the bread to dry it out. If your bread is stale, you get to skip this step. Slice up that loaf of French bread into little discs, top with yummy things. Call it bruschetta. Call it crostini. Whatever it is, it’s easy. It’s also one of the best appetizers you can make without spending a lot of time and money. Instead of buying pre-packaged stuffing, make your own out of any loaf of bread–just cut it into cubes. It can be bone dry and you will still get a delicious stuffing. If you plan to make stuffing later, make sure your bread cubes are very dry by toasting them on low heat in the oven (250 degrees F for 20 minutes or so). Store in an airtight container. I’m a little famous for French toast (among my family and friends). You can bet that the day after I buy a loaf of French bread, there will be French toast the next morning. Once you have the recipe down, there are infinite combinations. So easy. So yum. Croutons are just about the silliest thing you can buy in the grocery store. They are ridiculously easy to make from ingredients you already have on hand. Get the most out of your grocery dollar by making crunchy homemade croutons from stale bread–even the crusts! All you need to do is cube up some bread, toss it in a little olive oil (or butter) and toast for the best croutons. You can get fancy by flavoring with garlic powder, Parmesan cheese or even Cajun seasoning. If you don’t use your stake bread in any of the ways above, don’t throw it away! There are many more uses for it. You can revive stale bread by dipping it in water, wrapping with foil and baking it at 350 degrees F. for 8-10 minutes. Mix bread crumbs with soil to add extra nutrients to potting soil. Make bird seed treats with breadcrumbs, birdseed, peanut butter and lard. Use breadcrumbs in homemade dog treats. Add a slice of dry bread to your refrigerator vegetable drawer to absorb moisture. Float a slice of stale bread on top of soups or stews to soak up unwanted grease. Remove and throw away. If all else fails, throw your stale bread in the compost pile!